A few weeks ago, Louet sent me a gorgeous skein of Colinton Australia Lace yarn to knit up the Myra cowl pattern by Trudy Van Stralen for review. The Myra cowl pattern is part of a special collection of patterns to highlight Louet’s new partnership with Colinton Australia yarns. As soon as the yarn arrived, I was eager to cast on. The colorway I received, Dove, is a gorgeous, pale pink that looked both delicate and sophistacted. Colinton Lace is a 2-ply laceweight mohair yarn with 225 yards in each 50 g skein. Most mohair yarns I’ve worked with are brushed for a halo or plied with silk or linen, but this yarn is pure kid mohair and it is more sleek than it is fuzzy. I adore the shine and hand of this yarn and think it looks and feels a lot like silk. This means it has a lovely drape and very little elasticity. I thought the pattern, a simple lace cowl worked flat and then joined on the short ends, was well-suited for the yarn. 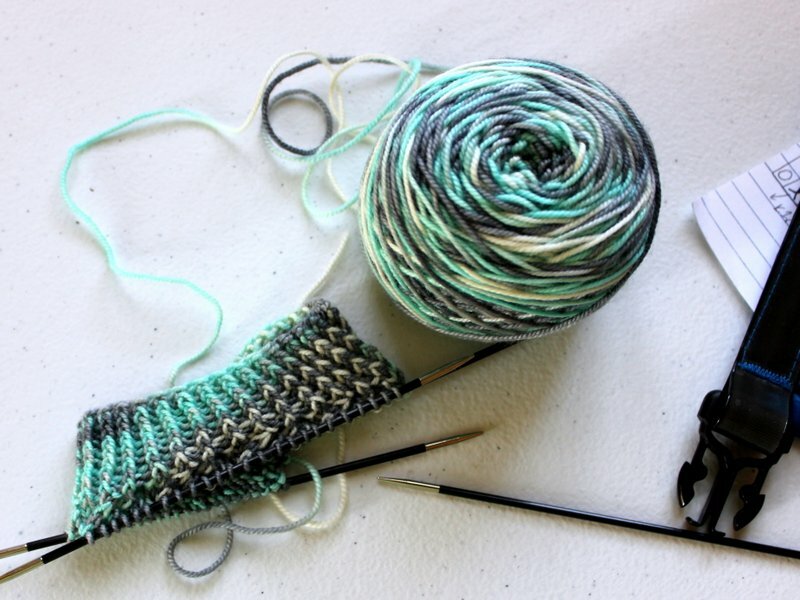 The stitch pattern is a garter-based lace that easy to work and really opens up nicely with blocking. I did have a few mishaps with dropped stitches during the course of the project, which was due partially to the slipperiness of the yarn, but would have been easy to avoid with a different needle choice (grippy bamboo or carbon fiber would do the trick). I recommend adding a lifeline every few repeats, just in case. The pattern is not charted, only written out, but the lace pattern is simple enough that a chart isn’t strictly necessary. I had no problems with the pattern until I reached the finishing instructions, which were a little confusing. The pattern includes a diagram of the three-needle bind off on a separate page, but then switches to a description of kitchener stitch (or grafting) for closing the cowl without fully explaining the three-needle bind off in the finishing section, which threw me off at first. Update: It turns out that I was working from an older version of the pattern! 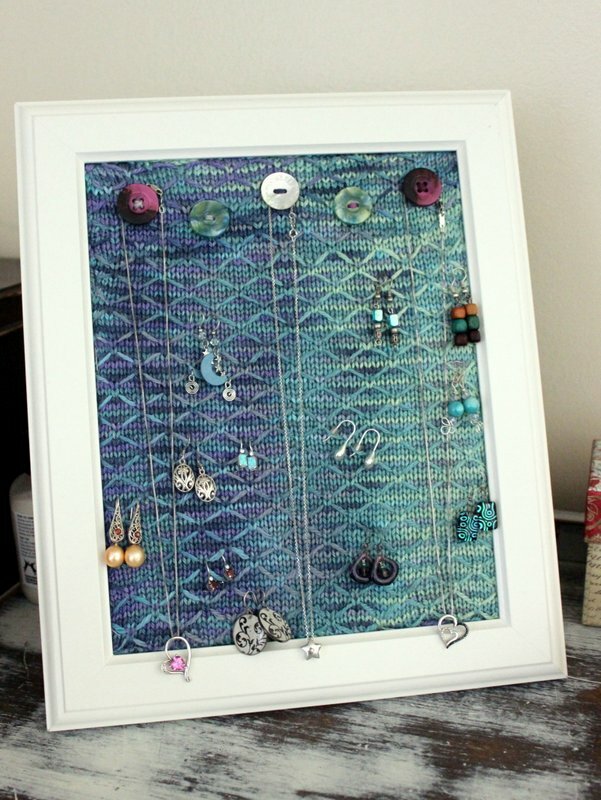 The newer version has a nicer layout that includes a chart and makes it clear that you have the option of finishing with either a 3-needle bind-off or grafting. I decided to go with the three-needle bind off using a needle a couple sizes bigger so the bind off would be loose. When you use this technique, you usually want to begin with the right sides facing each other so that your seam is on the inside or wrong side of the cowl. However, since the garter-stitch lace pattern is fully reversible, the distinction doesn’t matter so much for this cowl. Since I wanted my cowl to be a bit wider and shorter than the one pictured in the pattern, I cast on 45 stitches for 2.5 repeats (instead of 2 repeats as written). 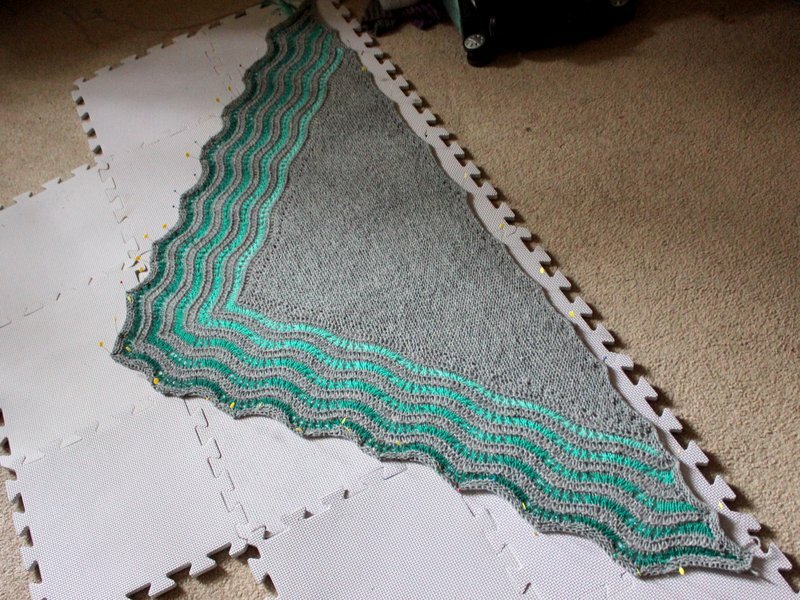 This blocked out to about 41″ circumference and 12″ wide, which I’m really happy with. It’s not long enough to double up but it’s the perfect length to wear as a pretty, lightweight accessory. 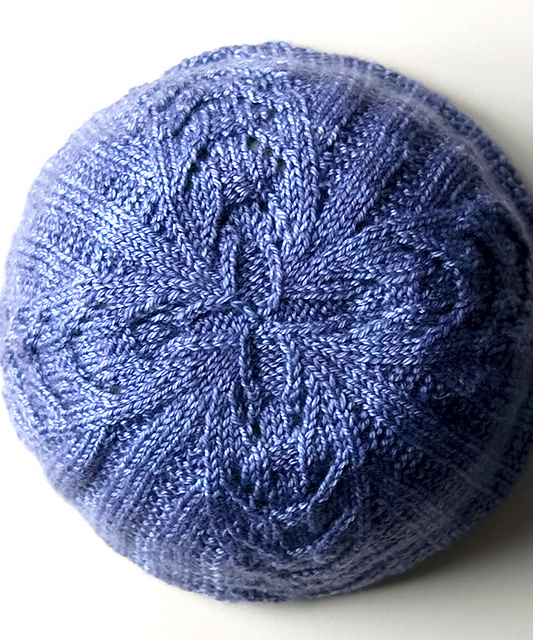 It’s delightfully warm for its lightness and the yarn really shines. The fabric developed a slight halo with wearing and shed a little bit on the dark shirt I wore it with the first day, but not enough to bother me. My Fiasco found it itchy, but he is very sensitive to prickle and has been known to say “I think Merino is kind of scratchy” so that’s how low his tolerance is. In conclusion, the Myra cowl is a pretty accessory and would make a good beginner lace project due to its simple geometric stitch pattern, and I absolutely love the yarn. I really didn’t think I liked mohair all that much until I tried this yarn, but I would use it for another lace accessory in a heartbeat. GIVEAWAY: I’d like to give my copy of the Myra cowl pattern away email a copy of the updated Myra cowl pattern to someone who would like it! Leave a comment on this post and let me know what other pattern from the Louet Colinton Collection you would like to make. Share this post on facebook or twitter for an extra entry (leave a comment letting me know you did!) and make sure you leave your e-mail so I can contact you. I’ll draw a winner next Monday, 7/6! FOFri #39: Socks, and a Plan! Praise be to the wooly higher-ups, I’ve finished a pair of socks… FOR ME! The last time this happened was over a year ago, in March 2014. I hesitate to say that my sock mojo is back, but it is certainly once again on the rise. Knitting these suckers ‘simultaneously’ (by alternating between socks after each section) made the process go much more smoothly for me, and eliminated most of my sock-stagnating hangups. The yarn is the January shipment of the Rockin’ Sock Club, BMFA Socks That Rock Mediumweight in the colorway Feelin’ Groovy. 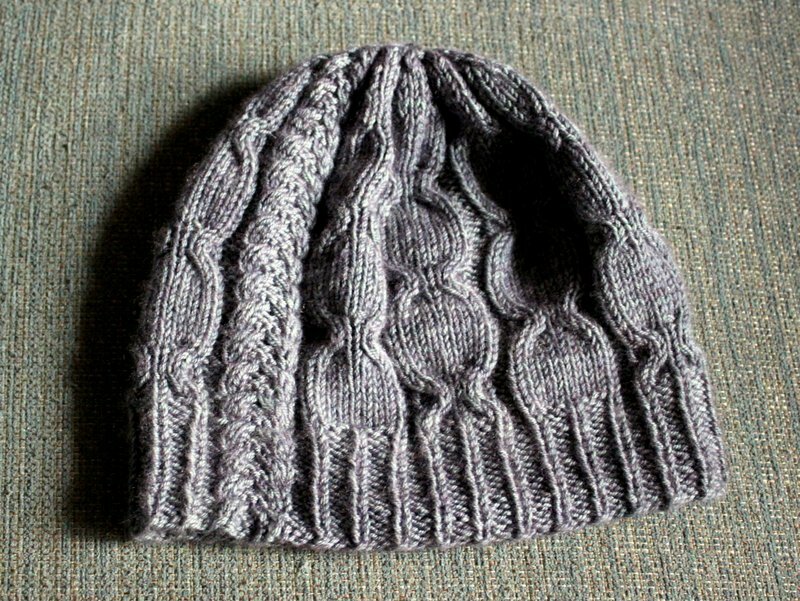 The pattern is from the club a few years ago, Intrepid Traveler by Gail Marracci. I borrowed the stitch pattern but used a square heel from Sock Architecture and a toe that I winged. 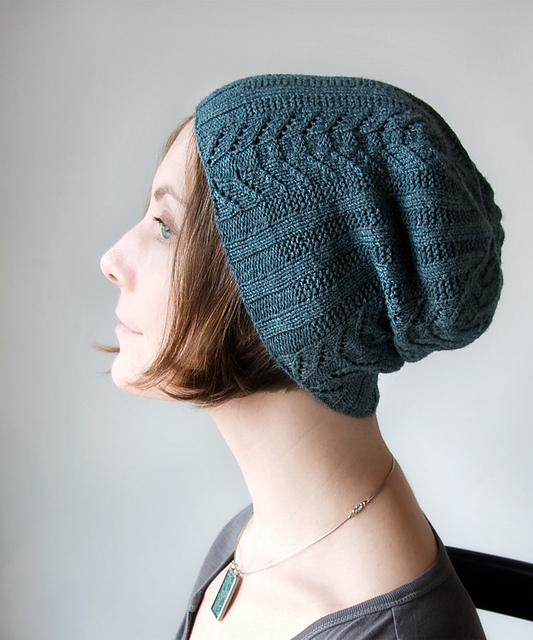 The stitch pattern was lots of fun and makes for a nifty effect with highly variegated yarns. And yes, these are the brightest socks I own! Ambition is my middle name! Garment: Whenever spring rolls around, I wish I had a poncho or a cape, something substantial that I could throw on over my clothing without having to actually wear a jacket. I really love Manteau, and I even have some yarn for it, so I’d love to make this happen (you know, before it’s 90 degrees and humid as all get-out). I have finished 6 projects so far this year, so listing 7 above is likely ambitious, but I like having specific goals to work towards. I think the projects above represent enough variety that I shouldn’t get bored and should have a knit for every situation (some simple, some interesting). If I can finish them all, awesome. If I can’t, well, then I’ll just have some more WIPs and I’ll see what’s still inspiring me when the third quarter rolls around. 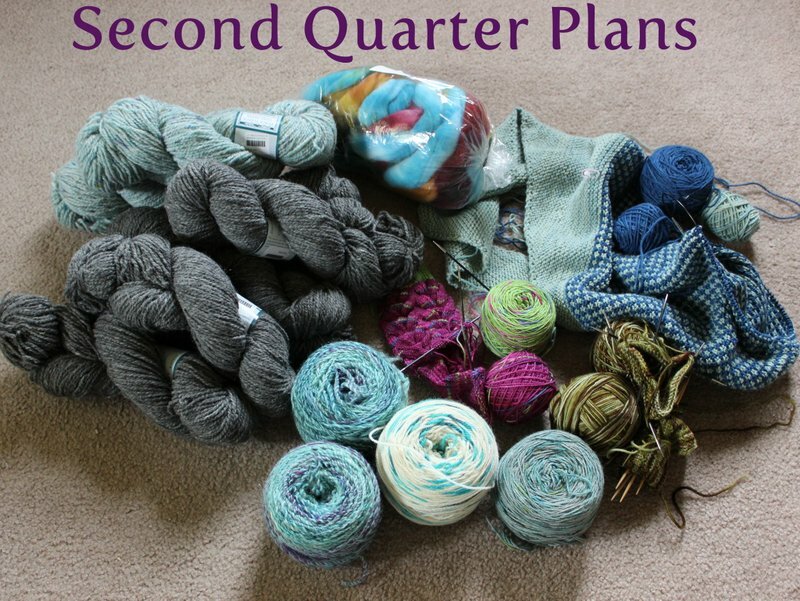 How do you plan what to knit next? How do you choose? I find it extremely difficult, especially when I keep acquiring pretty yarn in stash. I WANT TO KNIT THEM ALL! Linking up with Freshly Finished Friday.